Back in the late 90s, I drove an 86 Cavalier that had a bad habit of breaking down in the most inopportune of places--the middle of the interstate when I was cruising in the center lane (fortunately in light traffic), at a traffic light on a major road during rush hour, exiting a parking garage downtown with a line of cars behind me. It was the late 90s, so there was always a payphone a short walk away (well, except for in the middle of the interstate). Then there was the time I had a late exam at Georgia State. I decided to take a short cut through a less than desirable neighborhood filled with dilapidated buildings and dark alleys. The street lights were sparse and so were the signs of people. I stopped at a red light, double checked to make sure my doors were locked, and took my foot off the brakes when the light turned green. I tapped the gas, and nothing happened. I turned the key, and the engine hiccuped, but nothing. I waited a minute, and tried again. Nothing. Now a smart person would have sat there with the doors locked and waited for a police car. But I was not smart. I was 19. So I got out of the car and ran across the street to a liquor store. It was dark--closed. I looked around, and nothing seemed to be open. But there was a solitary payphone in the parking lot. I ran to the payphone, dropped in my quarter (remember always keeping quarters on hand? ), and dialed my dad. When I told him the street I was on, he instructed me to get back in the car, lock the doors, and wait for him. The next day he bought me my first cell phone. Cell phones are an amazing invention. They are a portable safety precaution. I don't want to go back to the days of crossing traffic or dark, empty streets searching for pay phones. 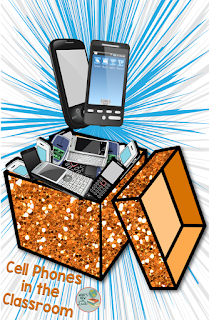 Cell phones are infinitely useful--much more so than they were in the late 90s. But cell phones are a distraction at school. Don't get me wrong--I know they have their uses. Before we went 1:1, they were helpful for scanning QR codes and finding information. I had a Bring Your Own Technology class, and we needed them for some of our activities. But there are many problems with having them in the classroom. First and foremost, they are nearly impossible to monitor. No matter how great you are at classroom management, those screens are small. Those apps close fast. There's one of you and 25 to 32 of them. 1. Kids use them to cheat. They take pictures of their assignments and text them to each other. They google answers surreptitiously while testing. They search online for answer keys to assignments. 2. Kids steam video during class. There's Youtube, Netflix, Hulu, and Amazon Prime, to name a few. The school may have these sites blocked, but students can always switch to their own data. I overheard a student saying that she always watches Grey's Anatomy during math class. Think that teacher's falling down on the job? Wireless earbuds and overcrowded classrooms make it much easier to be sneaky than you might think. I busted a student binging on Fuller House in my own classroom, and I'm "involved." I'm sure there are many I haven't busted. 3. Kids are distracted by texting and social media. Middle and high school are already hotbeds of drama. 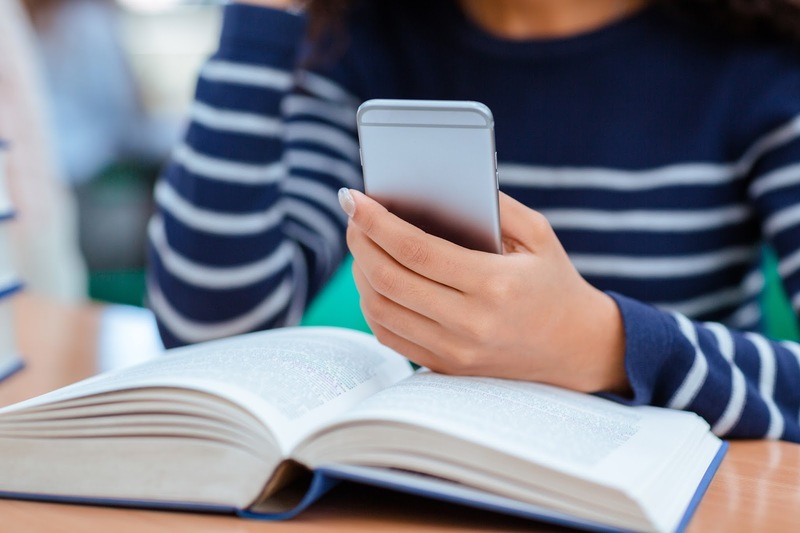 Try engaging a student in chemistry or world history amid a Snapchat drama--it's a fantasy. 4. Those games are addictive. They especially love those short games they can play with each other on Message, such as pool or tic-tac-toe. That is way more engaging to most of them than To Kill a Mockingbird. 5. They like to video us and each other. This is nothing new, but it can create quite the stir when these videos get around. And if they film something in your classroom that goes viral, that's not a good place to find yourself. 6. They use them to sabotage class games. I've heard of cases of students texting pin codes to their friends during games like Kahoot! so that students who aren't even in the classroom enter the game with inappropriate names and other such nonsense to waste class time. but allowing them in the classroom has opened Pandora's Box. 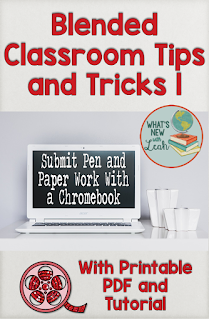 So now that we are 1:1 with Chromebooks, I don't allow them. Students check them into a shoe bag when they enter the classroom. If they don't check them and I see them out, I take them. This doesn't solve every issue--students are way savvier than we are about technology, but it cuts down on a lot of mischief and distraction. And as for the Chromebooks? I can monitor those much more easily. Our district uses Goguardian, a program that allows teachers to display each student's screen on the teacher's screen. If students are off task on their Chromebooks, I can close the offending tab. If they persist, I can lock their Chromebook. At least I have some control with those. 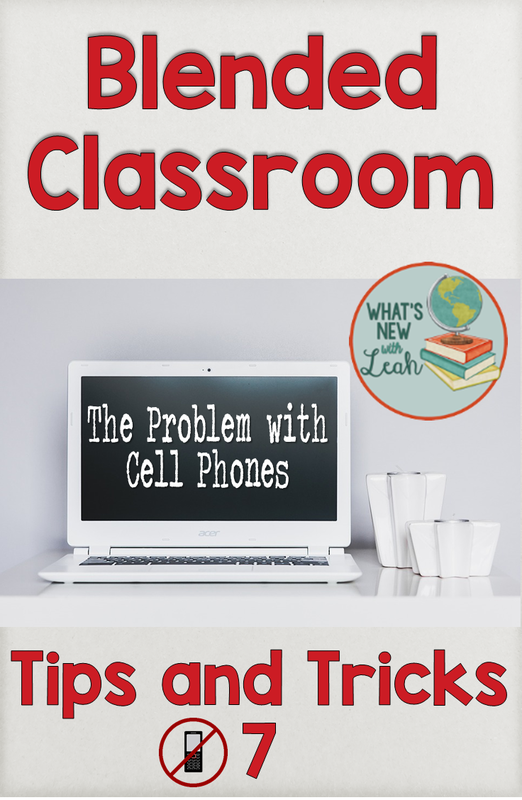 1:1 classrooms open the students up to so many wonderful learning experiences, but technology also opens them up to so many more opportunities for distraction. Teacher control of the technology in use is vital to creating an effective learning environment in the blended classroom. 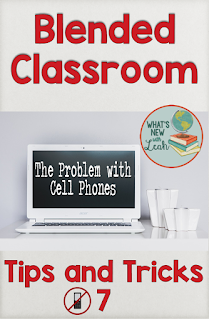 How do you "control" the technology in your classroom in order to make it a learning tool and not a distraction? Leave a comment below, and let me know. 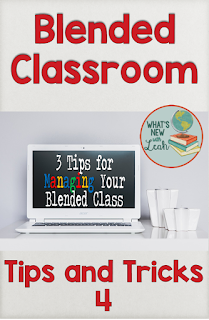 And be sure to stick around and check out the other posts in my Blended Classroom Tips and Tricks series. Yes, yes, yes, you can always say that back in the times it was better, and the sun shined brighter, and birds sand louder, and the 90th kids were smarter than modern ones, but it's not true. It's just wining. Every generation has its own pluses and minuses. It's okay. And it's a real question, and today kids less smarter, just because they check the rating of EduZaurus.com and use their help or not.